Landscaping your property creatively can transform your home into a beautiful space to live in. Did you also know that apart from making your home beautiful, landscaping can also increase the value of your home? That is right. 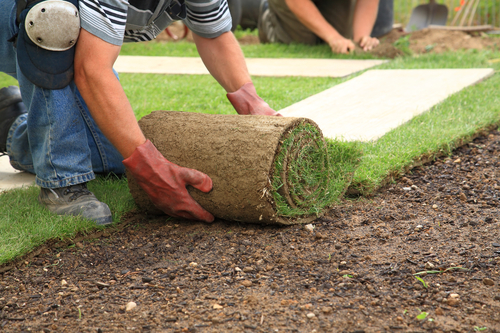 It is estimated that proper landscaping can raise a property’s value by as much as 11%. This is considerable, especially when you take into account that it is also one of the easiest home improvements one can do. Here are some tips on how you can go about this. It is important to understand and match the style of your landscape to the style of your home. This way, the two don’t sit at odds with each other. A good example is a modern style house that has a cottage style or country landscape theme. In such a setup, your landscape style might even lower the value of the house as well as reduce its visual appeal. If you have modern styling, you should consider using more contemporary styles when doing your landscape. Strategy in landscaping refers to the thinking behind the elements that you include in your landscape feature and which ones you leave out. This could include which flowers and plantings to use and how to distribute them around the house. Think carefully about factors such as leaf shedding (plants that have excessive leaf shedding might actually be a drawback to your landscaping strategy) and so on. Ensure that you have a good mix of various shrubs and perennial plants to spice up space without creating a cluttered look. If your plants only bloom during certain times of the year, this puts you at a disadvantage as anyone looking at your house when the flowers are not in bloom would probably value it for a lot less. Achieving a mix of plants that bloom in various seasons helps in giving your home an appealing look all around the year. The other important thing is that if you get the mix right, potential buyers will be aware that the look of the house will transform every season and this becomes an appealing factor in and of itself. There are numerous reasons why trees increase the value of your house. Trees are great in providing a sense of calm (think of a tree-lined driveway) and a stately sense that transforms your house into an amazing place. Trees also regulate the air around your house, providing a cool shade during hot days. When planting trees, be careful about the proximity of the trees to your house as they can act as bridges that rodents can use to get into your house. With proper planning and execution, your landscaping efforts can add considerable value to your house. You don’t necessarily need to get a landscaping expert to help you do this as most of the factors involved are easy to do. The important thing is to think ahead of what you want the landscaping work to do for your property. If you are looking to buy a property in New Jersey, contact the top real estate company in the state for the best deals.